The Cleburne Social Security office is located in Cleburne 76033. The following page includes information for this location like the office phone number, hours of operation and driving directions. If you have any interests or comments about your retirement benefits or are interested in making an appointment, call the following Cleburne Social Security office. 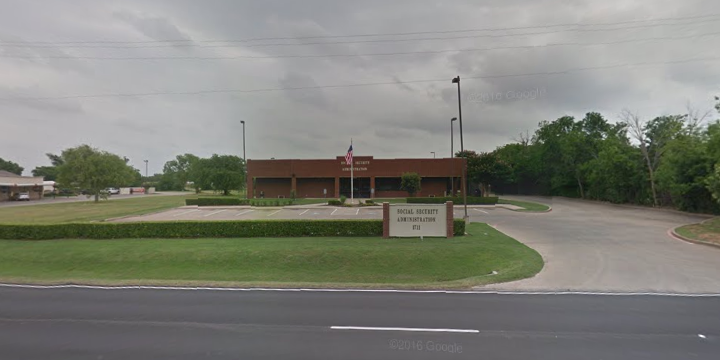 The Cleburne Social Security office is located in Cleburne 76033. The following page features information for this location like the office phone number, hours of operation and driving directions. 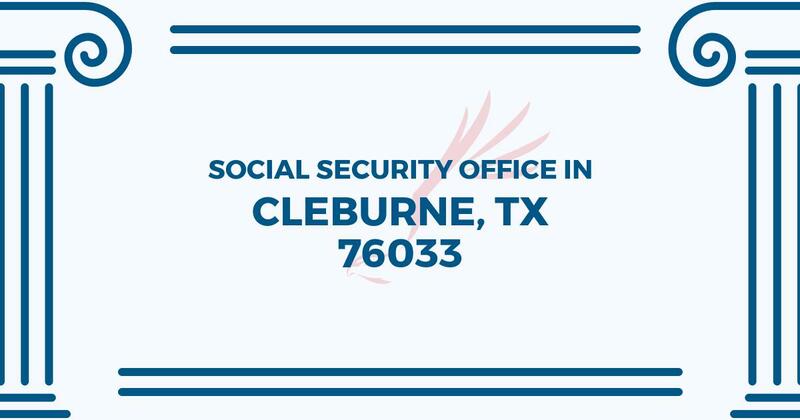 If you have any interests or doubts about your Social Security benefits or are interested in arranging an appointment, call the following Cleburne Social Security office. I have spent hours, mainly on hold, trying to have my wife’s SSA-1099 replaced. We received it but somehow lost her statement. I attempted to setup mySocialSecurity account online but was unable to do so. Finally SSA told me that apparently there were errors in my personal information on my credit reports and they could not confirm our identities, even though we have received SS checks for a very long time? SSA apparently uses questions based on your credit report to confirm your identity. And I was told to contact the three major credit bureaus and have them correct the errors. I had never checked these reports since we don’t borrow. When I did check the credit reports I found a wrong SS number, wrong previous address, and wrong phone numbers. This morning my accountant told me to contact the local social security office. So I called the SS Office in Cleburne. WOW, what a difference! After a short wait I was connected to a lady, I believe her name was Teresa, she greeted me by saying “Good Morning”! I told her our problem. She said she would mail us a replacement. She just needed Name, SS no. , and address since is was just a replacement. I told her she made our day! I really appreciated her friendliness, her attitude, and her helpfulness!